With so many users questioning the results of System Analyzer over the years I would like to make a suggestion to remove it from all products and use the link to download and install the standalone version if a users wants to use it. I'm sorry but I find System Analyzer a useless tool and gives users a false sense of performance of there systems. Totally agree with you Daniel for the Tool being useless. Personally I am not so sure. Yes, it does cause a number of questions and it is not what one would call front line in comparison with dedicated apps in that space...but it would be interesting to find out how many do actually find it useful/use it even in a small way. Just my halfpenny's worth...for what it is worth. I agree, with preceding comments, that the tool is useless....and is a hindrance! I agree, it is something I do not use, just preferring to use another specilised program. But even if it is a stand alone wouldn't users still have the same issues? Maybe I don't understand the effect of removing it from all products. Just a thought. 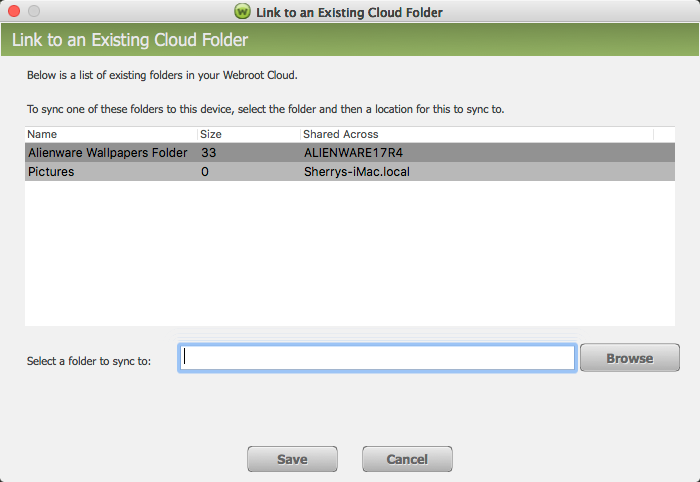 As Baldrick suggested, (albeit not verbatim) maybe Webroot could do a survey of all users via email to see the response? Why have I only just noticed this Ideas Exchange suggestion? Shows how much (or little, rather) I follow this Forum! Neither as a standalone nor as an integrated part of Complete do I wish to see it. As Tarnak says: "the tool is useless....and is a hindrance!" Come to speak of it, get rid also of "Personalized Security Report" with its unreliable results! Well I don't think they will kill the program. I just received this email. In my opinion, with the exception of System Optimizer—successor to Webroot Window Washer—and possibly Backup (but NOT Sync! ), the bells and whistles that come with Webroot SecureAnywhere Internet Security Plus and Complete are flakey and/or suspect and/or unreliable (look, for example, at the three recent threads on Password Manager). 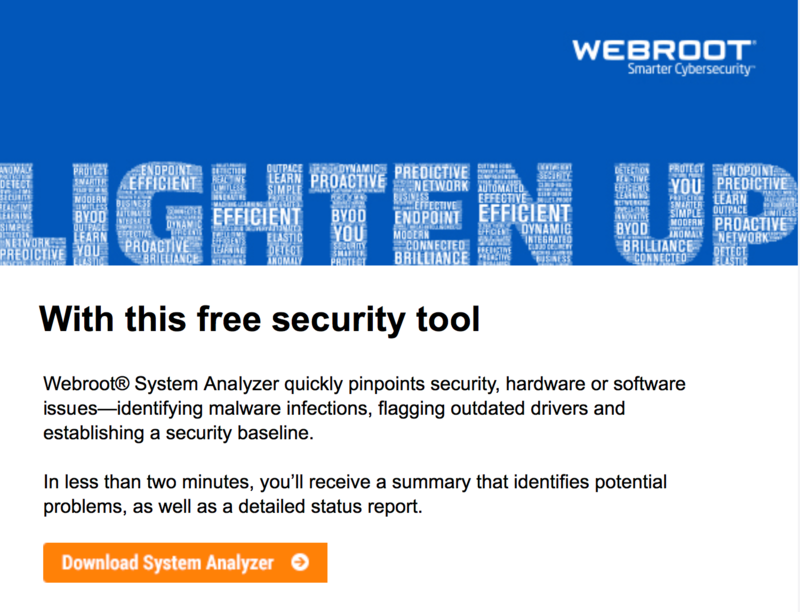 Why does Webroot insist on dabbling with these products with the risk of compromising its reputation, instead of just concentrating on what it is supremely good at, i.e. protection against malware? Well, that may well be the case for you but personally I have never ever had any major issues with any of those features being discussed. Granted, System Analyzer's inclusion can be questioned on the grounds that it is very much a baseline tool...but in the case of System Optimizer & Backup AND Sync...they should IMHO be left in the product as they are now. Both good at what they do...work well for me...and I would miss them if WRSA were stripped of them. So, cannot support the request IF it includes anything other than System Analyzer (which was the focus of the OP). it was clear that there were very serious problems with Webroot Sync for anybody seriously trying to sync their data between computers with Webroot Sync. Both will be able to remember this, and at any rate it should be properly documented. I am not disputing what you saying; all I am saying is that I like many (I believe) have not suffered the issue that you mention re. Backup & Sync...just trying to put some context on the point...a relatively few (as far as I am aware) occurences of an issue does not in my book **bleep** the functionality. But as I stated above...am not saying that there is not an issue that needs to be sorted...but rather that it is not a reason to drop a very good (IMHO) feature. Is that all of your data on your 4 systems, Sherry? "I must be the odd one out because I like all the bells and whistles with WSA Complete." Count me in on that group too @Ssherjj. The only problem I've had with B&S on my Win XP was when WSA was first launched many many years ago. 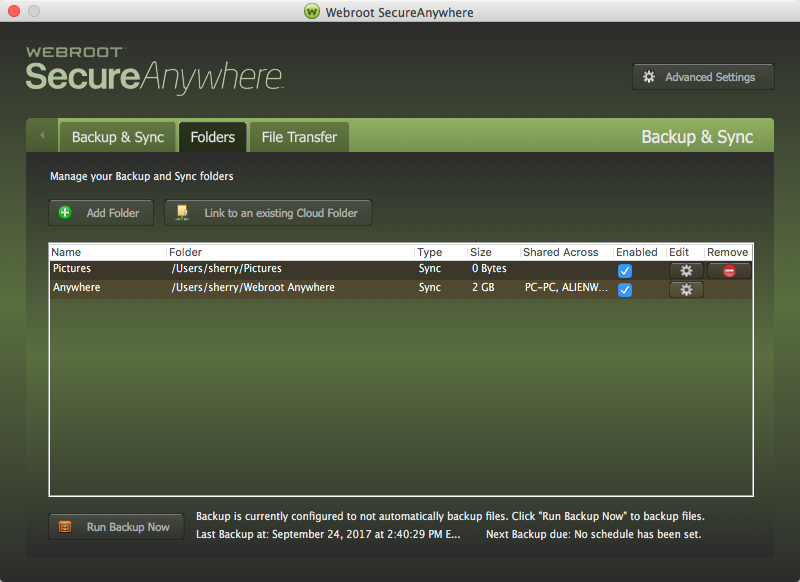 That was fixed with Webroot Support. I don't use Sync. I just started using Password Manager this year and love it, no problems. Now for Sysyem Analyzer, I find it useless. So if I understand you correctly, Sherry, you use Backup & Sync not to sync all your data between your different systems but to back up your data. And then you use, perhaps, Sync to sync the odd file but not to sync all your data between your different machines. @ProTruckDriver I agree that I could pass on System Analyzer as well. OK Sherry. If I understand you correctly, that means that you have tested Webroot Backup and it works well with your machines (which is good to know), but you haven't yet tested Sync apart from syncing the odd file. In which case (but this is only true if I have understood you correctly :8) you can't really say as you say in your previous post: "I've not had any issues with syncing all 4 of my systems". Well @Muddy7, I am not sure what you are setting me up with but I can Sync Folders/Files without an issue on any of my systems. What problems am I suppose to look for or be testing? Sorry but I don't get what you are getting at?